I've just joined this forum. By way of brief introduction, I got into wargaming as a teenager - but suspended that when I joined the Army (infantry serving in 1RAR, 5/7RAR and 6RAR) and got back into it once discharged in Canberra. We have a lively wargaming scene here in Canberra - and I'll add some commentary about Cancon in the appropriate section. 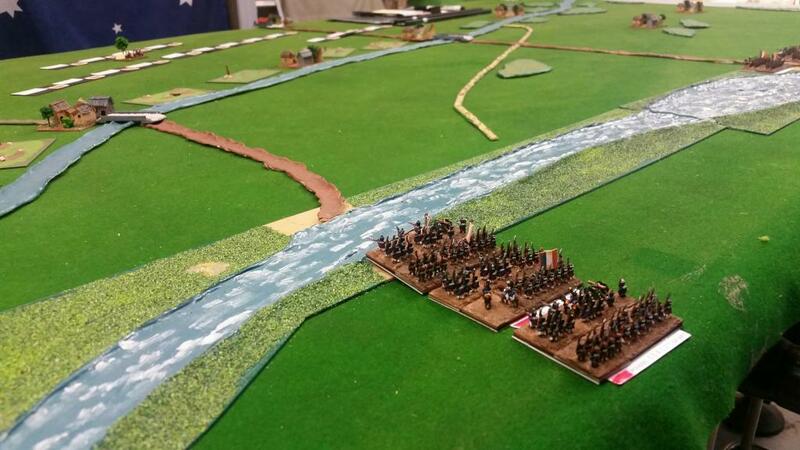 We had a blast with the Team Yankee 6mm, and re-booted Napoleon at War 18mm with one day of gaming. I'm also on various Facebook groups - Wollongong Wargamers, Maitland Wargame Group, Team Yankee 6mm, WARG Gladstone (my old stomping ground before Army), Panzer Angriff, and I"m the primary Admin for ACT Historical Wargaming. Numerous others concerned with 6mm gaming as well. I'm happy to travel to Sydney or wider for historical wargaming events, and likewise would welcome anyone wishing to visit the capital. 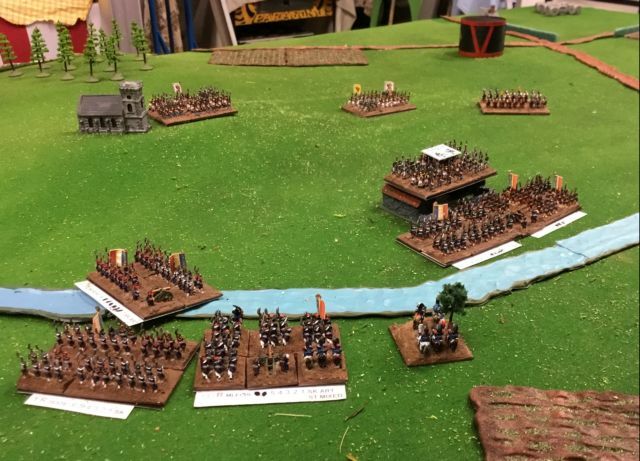 We have a couple of great events coming up with the Anzac Cup 21-22 April (Australian Defence Force Wargaming Association annual event, this year in Canberra), and Wintercon in July. Welcome to the forum Ken. Great to see some new blood posting here. Except for a handful of folks, the forum is a bit quiet of late... hopefully that can change. I wish I could be to Canberra for the ADFWA event but I am in Victoria and probably will be doing drill training leading up to ANZAC day around then. Thanks mate. I'm heading up to Sydney for a 1RAR reunion for Somalia - 25 years, and then we're off to Townsville in May for Coral Week and changing of the colours and another reunion. A bit slow on this front but comes in ebbs and flows. Hope you enjoy the event as very envious. Bit hard when you are on the other side of the country. Did you say 6mm Blucher! And CoC good choice, I play its predecessor TW&T plus some IABSM.. Looking forward to seeing some great posts from you! Last edited by Captain Darling on Tue Feb 20, 2018 11:55 am, edited 1 time in total. Ken1967 wrote: Thanks mate. I'm heading up to Sydney for a 1RAR reunion for Somalia - 25 years, and then we're off to Townsville in May for Coral Week and changing of the colours and another reunion. That pic of Blucher looks great. I'm about halfway to having a French corps ready in 6mm. Yes it can be slow here, I think forums these days are seen as sooo 2010! But people will get tired of FB groups and their inability to preserve discussions etc. There are a few who keep the forum active and who I am sure will appreciate your posts. Hey Mathew I agree, Discussion Forums are much more user friendly and make great reference books on the net...Facebook is for the now and so hard to use for reference (Yahoo Groups are a bit like that but at least they feature saved docs)...I don’t even have a Facebook account...Blogs aren’t bad for the technological handicapped like myself I’d really like to put my own website together one day though! I have facebook, but don't really like it. I really only have it as most companies seem to be showing their new toys off there. As mentioned, I'm new to this forum - but is there anything going on here? I'm looking for some signs of life beyond the 1 or 2 regular posters. Is wargaming just not the flavour of the month? I'm not an army hoarder by nature, nor do I maintain multiple logons to various forums. If this is forum is slow by nature, I'll just watch and see if anything pops up that catches my attention. Unfortunately what you see is it. I don't post as often as I would like with my own projects - most of the time there aren't any kindred souls that are playing the same rules or doing the same type of projects, except for Captain Darling - our gaming tastes are similar. I also get my mojo reduced on a regular basis which doesn't help. Given your former(?) job, I am sure you would appreciate that going on exercises or courses can get in the way of a good run of doing hobby things. I would love to see a more active forum myself. Still I’m looking forward to seeing your Blucher project progress I hope you continue to post! Forum has been around for 10 years or so now. Always been one of many lurkers with only a few regular posters. Just the way it has been, but will change if people want it to. - 15mm ADLG and Mortem et Glorium (working on a Late Republican Roman army at moment to be ready by Wintercon). A very lively wargaming community in Canberra and region, my last club was the Viking club down south in 2015, a good bunch of historical gamers, and of course Goulburn wargames club which has taken a nose drive since I left in 2013. I do miss the gaming scene there and a lot of good mates remain close friends in the region. I then moved to Sydney where I gamed at the Cumberland society and company of dice at Maroubra. I too suffer from the " squirrel " effect of chasing shiney new stuff, you only need to look at my blogs for the proof of that. I now find myself in France setting up a B&B, battlefield guided tours and a wargames centre, visit the battlefield in the morning, and game it in the afternoon. Lots of work to be done in the next twelve months before DDay celebrations next year. The forum does still tick along and I am finding Facebook annoying as I cannot follow posts as well, and with the demise of the guild I find myself here more often. Would be good to see you around here more BW. Yes the FB feed thing can be a pain, forums will come around again in popularity I am sure. I’ve said it before no Facebook for me!